St. Helens High School senior Kristen Washburn was selected as the Elks Teen of the Month for March. Washburn was picked for the award based on her academic accomplishments, as well as her involvement in community service and extracurricular activities. She was nominated by teachers at the high school who recognize her commitment, leadership and positive spirit. In a press release from the school, staff described Washburn as someone who "who helps to make a school a great place to be," and noted "her positive energy and curiosity are infectious to all those around her." Teachers also recognized her hard work and focus in the classroom. Staff stated Washburn looks forward to learning each day and participates fully in class. 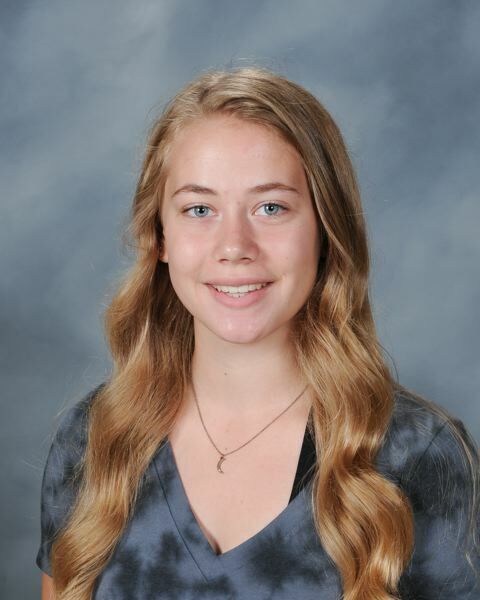 "Kristen is one of the hardest workers I have ever seen, but what really sets Kristen apart is her attitude," Keith Meeuwsen, a social studies teacher, stated in the release. "She is always positive, interested in what is being taught and looks for the best in everything." When she's not in school, Washburn is involved in volunteer activities through the Key Club and volunteers at her church's day care. Washburn is also a member of the school's color guard team and serves as a co-captain in the fall and winter. She also takes part in track and tennis. When Washburn learned she had been selected for the award, she was honored. "Being selected as the Elks Teen of the Month is a huge privilege. As a freshmen I remember looking up to the seniors who were announced as Elks Teen. I think this award does an incredible job at picking teens who represent the entire student body and I feel honored to be selected," Washburn stated in the release. After high school, Washburn plans to attend Trinity Western University. She plans to pursue a degree in media and communications and hopes to have a career in film, journalism or teaching, the release stated. In her spare time, Washburn enjoys photography, painting, hiking, kayaking, baking and reading.